1. Heat the oil in a large saucepan, add the onion and carrot and cook for 5 minutes. Add the garlic and potatoes and cook for a further 3 minutes. Add the thyme, lentils and stock, bring to the boil and then simmer for 20 minutes until the lentils and potatoes are tender. 2. Stir in the ham, cook for 3 minutes, check the seasoning and then serve in warmed bowls. 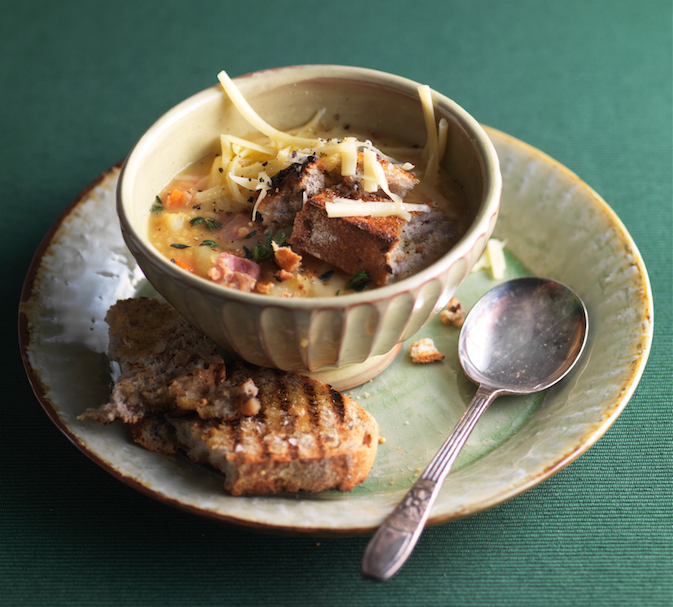 Scatter with the cheese and some extra thyme and serve with griddled granary bread. This classic combination is also so low in calories! Hearty and wholesome, this soup is a meal in itself. Fresh herbs brings all the flavours of this soup to life.